This interview was printed in Nexus, Colorado’s Holistic Journal (March/April 2003) and appears here with permission from Nexus (www.nexuspub.com). The use of sound as a healing tool dates back thousands of years. Now, the field of sound healing is gaining considerable attention, as sound pioneers promote the healing benefits of music, tones and instruments. 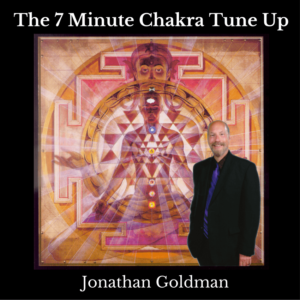 Jonathan Goldman, director of the Sound Healers Association, is one of the leading experts in the field. 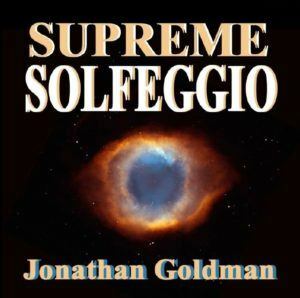 He is also president of Spirit Music, which produces music for meditation, relaxation and self-transformation, including the best-selling release Chakra Chants (Etherean, 1999), and the author of several books, including Healing Sounds: The Power Of Harmonics (Inner Traditions, 2002). In this interview with Nexus publisher Ravi Dykema, Goldman talks about research in the field of sound healing, using music and sound as healing and spiritual modalities, and how sound can heal the planet. RD: How did you become involved in sound healing? JG: It began with an experience I had around 1980, when I was playing lead guitar in a rock and roll band in Boston. One night, when I looked out at the audience, I realized the ambiance in the night club was very negative, and that the music I was creating—a dark, punk-rock type of music—was influencing that. Now, no doubt the alcohol and the different intoxicants that people were taking were adding to it, but the music was really driving the negativity. People were angry, throwing beer bottles, getting into fights, screaming at each other. When I realized that, I thought, “I wonder if music can be used to make people feel better?” It was like the light of God struck me, because it hit me so suddenly, after 16 years on stage. I decided to find out about using sound and music for healing. A couple of weeks later, I began to seek out books and recordings, of which there weren’t many. I took a workshop on using sound and color as a healing modality. And I began to meet informally with a number of people who were using music and sound as healing and spiritual modalities. One of those people was Randall McClellan, who taught what was at that time the only college-level course in healing with sound in the United States. After a couple of months, we stopped meeting, because no one had the time. As these gatherings became more infrequent, I said, “Listen, I’m going to take this over and organize it so that people will come and join us.” And everyone said, “Go ahead. Go for it.” I knew from ancient Hebrew kabala that if you name something, you give it energy, so I called the group the Sound Healers Association. We had meetings once a month that drew in well-known doctors and scientists who were working with sound, healers, and musicians. It was incredible. I got a tremendous education in the potential uses of sound and music for healing. I then went to Lesley College in Cambridge, Massachusetts, and said, “I want to create a degree in researching the uses of sound and music for healing.” They were skeptical, so I came up with about six inches worth of papers proving that my idea was based in reality, and I created a degree program for myself using research in the uses of sound and music for healing. RD: Do you consider sound healing a branch of holistic healing? JG: I would say yes, or energy medicine. RD: Please describe sound healing. JG: First, let me point out that modern science is now in agreement with what the ancient mystics have told us—that everything is in a state of vibration, from the electrons moving around the nucleus of an atom, to planets and distant galaxies moving around stars. As they’re creating movement, they are creating vibration, and this vibration can be perceived of as sound. So everything is creating a sound, including the sofa that we’re sitting on, or this table, or our bodies. Every organ, every bone, every tissue, every system of the body is creating a sound. When we are in a state of health, we’re like an extraordinary orchestra that’s playing a wonderful symphony of the self. But what happens if the second violin player loses her sheet music? She begins to play out of tune, and pretty soon the entire string section sounds bad. Pretty soon, in fact, the entire orchestra is off. This is a metaphor for disease. I have the greatest respect for traditional allopathic medicine. But with regard to our string player who’s playing the wrong music, allopathic medicine currently has the approach of either giving this player enough drugs so she simply passes out, or cutting her head off with a broad sword—analogous to surgery. I ask the question, “What if we could somehow give the string player back her sheet music?” What if we could somehow project the correct resonant frequency to that part of the body that is vibrating out of harmony, and cause it to vibrate back into its normal, healthy rhythm, restoring it to a condition of health? That’s the basic principle of using sound as a healing modality. RD: Let’s imagine you have a client who has a headache. How would you determine what’s going on and which intervention is best for him? JG: With a condition such as a headache, I would probably use tuning forks. These are very special tuning forks that are tuned to a specific ratio—a ratio is a relationship between two notes. Would you like for me to try it on you? JG: I’ll just ask you to sit up straight and relax, then I’ll take two tuning forks and hold them on either side of your head. [The tuning forks are struck and sound a tone for several seconds.] The tuning forks balance out the left and right hemispheres of the brain. They also seem to balance the auric field and the energetic levels of the body. Let me do it once more. [The tone sounds for several seconds longer, followed by a long, silent pause.] Sometimes, that’s all it takes. How did you like that? JG: Isn’t it nice? And you can’t get that experience wearing headphones and listening to that tone. You have to use it with the tuning forks in this manner. RD: I could feel something happening inside my head. JG: Yes, it’s powerful. I think the tuning forks affect the cerebral spinal fluid, which is said to be the carrier of kundalini energy. I’ve seen vertebrae pop into alignment and all sorts of other wonderous things happen, just from using the tuning forks. Then there’s another way of using different types of tuning forks, where you put them on the acupuncture meridians. I sort of stumbled upon using tuning forks, as I stumble upon a lot of things, but now somebody’s created a whole series of tuning forks and a training program, and they call it “acu-tronics” or “acu-tonics,” something like that. RD: Would it work the same no matter what the notes were on the tuning forks? JG: It’s not the note or notes. It’s the relationship of the notes that is very important to healing, what we call the interval, the chord or harmony. The two notes I used happened to be in the key of D and A#. (Here’s what’s interesting: some people say these tuning forks actually work down to a DNA level, so we call these the “D ’n A” tuning forks.) In holistic healing, one concept is that disease is blocked energy, and if you can get the energy to flow, it becomes unblocked and the disease is mitigated. A headache is often blocked energy in the head, so if you can get it moving via tuning forks, the sound simply moves and shifts the energy so it’s able to flow, and then the pain goes away. It’s that simple. RD: If it’s that simple, a whole lot of different sounds would have the same effect. JG: That’s true. A whole lot of different sounds would have the same effect. But it also depends on the intention you put upon the sound. When I was writing Healing Sounds, at one point I was sitting at my computer with 800 pages of text and dozens and dozens of systems of using sound for healing, dozens of different frequencies and notes. I was particularly interested in researching the relationship between sound and the chakras, and the uses of sound in different organs and on different meridian points. But no one could agree on what the frequencies or sounds were. So I was sitting at my computer with my head in my hands saying, “How can this be? It just doesn’t make any sense.” And I clearly heard a voice say, “It is not simply the frequency of the sound that creates the effect, but the intention of the person projecting the sound.” All of a sudden, everything clicked, and I created the formula of frequency + intent 3D healing. RD: We can measure frequency, but intention is hard to pin down. JG: Actually, there has been a pretty good amount of research regarding intention. In one experiment, a friend of mine who’s a doctor had three different petrie dishes with yeast or bacteria or something in them, and he held his hand over one dish and thought, “Stay the same.” He held his hand over the other, and he thought, “Grow.” And he held his hand over the third and he thought, “Cease.” And that’s exactly what happened in each dish. He was simply working with energy. What could be seen as vibration adhered to his thoughts, but it affected the media in the petrie dishes. That was just one of the experiments done demonstrating the importance of intention. Other people are doing research as well. In fact, there’s an organization called The International Society for the Study of Subtle Energy and Energy Medicine, which meets once a year in Boulder. A couple of years ago, their main focus was on intentionality, and all these scientists were proving and demonstrating the importance of intention in the healing process. RD: We were talking about using tuning forks for a headache. If the headache didn’t go away with the tuning forks, what would you do next? JG: I would probably work with other kinds of sound. I teach people certain self-created sounds that I call “vocal harmonics.” Some people call them “overtoning.” Here’s an example. [He sings a tone for several seconds.] If I had a headache, and didn’t have my tuning forks, I would make that sound with the intention that the sound is going into my brain. RD: That might get rid of my headache today, but in the realm of healing, it’s paramount to try to get to the source. How would a sound healer get to the source? JG: I don’t have a clear answer for that. Years ago, I spoke to Dr. Randall McClellan, who was part of that sound healer group years ago. He wrote a book called The Healing Forces of Music. He gives an example of a story of somebody who’s got a tack in his shoe. You can put a band-aid on the foot, but until you actually remove the tack, that is, until you get to the source, the foot’s not really going to get better. With regard to sound healing, I’ve seen the tuning forks, for example, work for some people and completely stop their headaches from recurring. And for other people, their headaches keep coming back. I think it has something to do with the attitude of the person being healed. I’ll tell you a story: about 10 years ago, my niece came to visit me. She had been debilitated by chronic headaches for four or five years. I thought, because I’ve been trained in all sorts of different healing modalities from reiki to acupressure and others, I could simply put my hand on her and say, “Heal!” and she’d be healed. It didn’t happen. I spent a month working with her, taking her to the best healers I knew. Finally, a month later, she was at the airport getting ready to return home, and she said, “Uncle Jonathan, thank you so much for your experience, for this. You’ve given me a lifetime’s worth of experiences. But I just want to go back to New Jersey and go back to being a Jewish-American princess.” Those were her words to me. I realized she had made some sort of major decision about her path in life, and no one could help her. She went back to spend the next four to six years in bed, and she died a couple of years ago. I’m a major believer that, with regard to the healing process, one has to take responsibility. She was an ultimate victim. I also realized at that time that I knew very little about the healing process, that it was like an onion—you’d pull off one layer, and there would be another layer. I think we all have a very limited knowledge of healing. Nobody’s got the magic bullet yet. RD: What instruments are typically used for healing? JG: Some people use the voice, some use instruments, like the didgeridoo, or Tibetan bowls or bells. Some use tuning forks or scientific instruments, such as the somatic instrument, which uses direct application of sound on the body for healing. There’s another branch of sound healing in which people take someone’s speaking voice and find frequencies that are dormant or missing, then feed these frequencies back into them. And then there’s the work of Dr. Alfred Tomatis, who’s considered to be the Einstein of the ear. Dr. Tomatis uses something called the electronic ear to stimulate and enhance the ear and various neural pathways to open up the brain. It’s extremely effective with learning disabilities and emotional disturbances. There’s also work with sound phenomena that can be called “sonic entrainment,” using sound to cause the brain to synchronize and change different levels of brain wave activity. RD: How is that done? JG: Entrainment is a phenomena that was discovered in the 16th century, and it means that something can lock in step with another object, so one vibration can cause another object to lock in step. In the 1960s, a man by the name of Robert Monroe began to do research on entrainment. He found that, for example, when you put a frequency in one ear, let’s say 100 cycles/second, and a frequency in another ear, say 104 cycles/second, the difference between those two frequencies is four cycles/second. He found that the predominant lobes of the brain would vibrate or entrain to that four cycle/second frequency difference, and that the left and right hemispheres of the brain, measured by electroencephalogram, would also synchronize together. He called the process “hemi-synch.” This technique has great repercussions in terms of both psychological and physiological healing. RD: Let’s switch gears for a minute, and talk about sound healing versus music therapy. How are they different? JG: Music therapy uses music as an adjunct or an assistance to traditional therapy to help people feel better, whether they’re going through hospice work or they’re suffering in a hospital. It’s used for pain relief, to help speed recovery, as occupational therapy, that kind of thing. It’s using music as a tool to assist the healing process, but in a much more conventional way. Sometimes I perceive of it as being more about working with behavioral medicine. Additionally, music therapy is a licensed degree program, whereas sound healing is not. Most people who are into sound healing are doing it because they’re musicians or they’re healers—they’re musicians who want to incorporate healing into the process, or healers who want to incorporate music into their process. RD: What would you consider adequate training for someone to be a sound healer? JG: We have a nine-day healing sounds intensive, which goes from early in the morning to late at night. We deal a lot with the scientific basis for using sound for healing, then we have the experiences of working with everything from tuning forks to toning to mantras. I also think it’s important for a sound healer to understand the principles of resonance, entrainment and various modalities of using sound for healing, whether it’s tuning forks, mantras, toning or other methods. Many years ago, I thought I would be helping initiate a college program in training people with the healing sound of music. Perhaps that will be the next generation. RD: Has sound healing become a significant part of the curriculum in music therapy in any universities or colleges that you know of? JG: I can’t answer that. I have taught for different music therapy programs at times. But I have to admit that I have not been actively engaged in music therapy programs for quite a while. I’ve been sort of doing my own thing and working with other people. Frequently, when people ask me, “How can I get some sort of certification?” I usually turn them toward music therapy. RD: If I were looking for a sound healer, would you recommend that I find someone who’s a registered music therapist? JG: Not necessarily. Sometimes, in fact, sound healing may be discouraged by certain music therapy programs. I’ve had a number of music therapists come to study with me, and they say, “Well, you know, this stuff will never be accepted in my school, even though it may work.” Because, for example, the research behind sound therapy is too cutting edge, even though some of these therapies—like mantra therapy, for example—go back thousands of years. RD: So sound healing is still very much in the research stage? JG: Yes, it is. But what I’d like to suggest is that sound healing as a modality is very ancient. People have been using mantras and other sounds for various types of healing and consciousness shifts for thousands of years in different traditions. But the research still needs to be done, and it’s very hard to get research done on sound healing, because most of it needs to be privately funded. It won’t be funded by the drug companies, because you can’t patent a tone. RD: So, speaking of cancer, what sorts of conditions lend themselves best to sound healing? RD: Conceptually. But I would want to see results. Either anecdotal or in research data. JG: Then I can say that, anecdotally, I have heard of every type of condition being healed with sound. RD: Does the science of sound healing include a map or model of how a specific sound, used for a specific imbalance, returns balance to the system? JG: Yes, and there are people who have created this in their work—for example, earlier I mentioned those who use the “missing frequencies” in the voice. They have these huge charts, pages and pages as thick as the Bible, in terms of what the missing frequencies mean. From my perspective, it doesn’t mean their work is any more effective than the work of somebody who doesn’t have that map and who is simply using intuition coupled with knowledge of sound. For example, the Shamanic traditions have effectively used sound to heal for millennia. They have not had the guidelines, the map, the Bible, and yet they’ve had a great deal of success. For some people, yes, having a specific road map is helpful. But the map is not the territory. There are some people who will get in the territory without the map and be able to work with a sound to create incredible healing. At the same time, those who have the map may be sitting there doing what I call the cookbook remedy of healing. And sometimes they’ll be very successful, and sometimes they won’t. Because I believe in a dynamic, fluid flow of the universe, and also in terms of the healing process. RD: So let’s look at another aspect of this. We were talking about sound as healing, and common conditions, like headaches. But sound in the Eastern traditions is utilized for human potential development. JG: Or we could say consciousness enhancement? RD: Yes. What do you understand about the use of sound to change states of consciousness? JG: Certain sounds cause the nervous system to react and create tension. For example, as we were speaking, there was a vacuum cleaner running one floor above us. As soon as that sound went off, I could feel my body release. That alone is a consciousness enhancer—being able to release and be relaxed. I’m very interested in what I call helping people wake up using sound. I don’t mean getting into states of enlightenment—though we all want that—but simply being more aware of many aspects of existence on this planet. I believe many people are in a state of fear because of various things that are going on, and there’s a great deal of manipulation occurring through the media and other means to keep people in a state of not really understanding, not being able to see clearly. As we begin to wake up more, we realize that there are a lot of strings being pulled, and that perhaps, as humans, we need to take more responsibility and unite together so that we can help create peace. On Valentine’s Day, February 14th, we’re having World Sound Healing Day, when people throughout the planet are going to be making a heart sound, an “aahhh” sound, for five minutes at noon, wherever they are. They’ll send this energy throughout the planet. It’s my belief that sound, created with consciousness, can actually create changes on the planet. I recently created a recording called Ultimate Om, which is an “om” that lasts for about an hour. When you get done listening to that, the barriers that seemed to exist between yourself and other people seem to disappear, and you realize that all of us are vibratory beings. When that happens, I think you get into a mode of cooperation versus competition. I also believe that sound can be assisted through meditation. I believe that one of the keys in sound healing is the importance of silence. So if you’re chanting for 10 or 15 minutes, and then all of a sudden you go into silence, you’re opening to extremely deep and transformative states. RD: It’s as if the sound is preparing the person for the experience that occurs during the silence. JG: I believe that’s true. And we’ve seen evidence of physiological changes that occur in brain waves, heart rate and respiration. A fast mantra, for example, can cause the heartbeat, respiration and brain waves to speed-up. If you chant the same mantra very slowly, it will slow brain wave activity and create shifts in heartbeat and respiration. RD: What kind of science supports those changes? That’s one of the reasons why I say I’m not thrilled with research. I think in modern science, the person doing the research frequently influences the outcome of the experiment. Also, I don’t necessarily see scientific evidence as being that essential. I know, from a left-brain point of view, it’s very important to people to know how sound healing works, but I also see things that have become gospel scientifically become flawed and incorrect a few years down the road. Then a new theory takes it over, totally disproving what once was “proven.” I also think we may find that our thoughts help in healing, that it’s not a placebo effect but rather the relationship between body, mind and spirit. RD: The fact that scientific theories are modified when new data is discovered or collected increases my faith in science. It’s heartening to me that scientists are willing to reform their theories. JG: Well, it is, and I’m not meaning to put down science at all. I truly bless science and say they have great ideas. But they’re also the folks in the ivory towers in the universities who are holding onto information that is sometimes very outdated. The bottom line is that I’ve been in this field for 20 years, and I hope to pioneer it. The reason I do this, the reason I’m still into it, is because I see that it works. There are other ways of making a living besides doing this. At one point, an album I had released was named the Pick Hit of the Week in Billboard Magazine. So I had other options. RD: What happened with that album? JG: I pulled it from the market. Shortly after that experience I had on stage, when I realized the negativity in the audience, I was with a woman who was a healer and a nurse. I made a vow that my life was going to be dedicated to bringing the awareness of sound and music for healing to the public. The next day, I got a phone call from a music business lawyer in New York City who had been dodging my phone calls for a year. He was a very big, well-known guy, and he said “Congratulations on Billboard.” I didn’t know what the heck he was talking about. “Oh, you know, you got a Pick Hit of the Week in Billboard.” I said “Wow!” I thought it was so interesting, because it was the day after I’d made this dedication. I ended up pulling the album from the market and started dedicating myself to using sound for healing. I didn’t think that album was creating positive vibrations for the planet. RD: But its sales were assured, at least for the short term, because of the Billboard review? JG: Right. And my family thought I was crazy. They said, “This is your big opportunity. What are you doing?” I said, “There will be other opportunities.” I saw that what I was doing was playing into the same audience I saw on stage that night, one that thrived on emotions such as violence and fear—some of the songs I had written were very scary. As I became more awakened, I saw that it wasn’t necessary to put any more of this energy onto the planet. I also saw that the positive things I did might be well-received and that I should really focus on them. For example, my recording Chakra Chants (Etherean, 1999) won the 1999 Visionary Awards for Best Healing-Meditation Album and Album of the Year. A couple of days ago I went to see a group called Def Leppard, who I’d never seen or even heard before. The drummer in the band had actually taken a workshop of mine and was very keen on my work. So I went to see the group, and I thought they were enjoyable. I stopped playing rock and roll when I first got into sound healing, because I felt that it was the devil’s music. Then I realized that it isn’t the rock and roll. It’s the energy that you put into the music. The Beatles were some of the most extraordinary, luminescent light beings on the planet. But what cracked me up was that I was backstage talking to Rick, the drummer, and he said, “You know, before I met you and became aware of this whole aspect of using sound as a modality that can shift and change us, I’d get myself really pumped up and wired to go onstage, and I’d be exhausted halfway through. But now,” he said, “I sit and listen to Chakra Chants before I go on, I meditate to slow down my breathing, heartbeat and respiration, and now I get out there and I have lots of energy and I’m so focused.” I said, “You’re in the zone.” And he said, “Totally.” I thought that was so sweet. Just another example of the way somebody can use music as a tool to enhance human potential. It’s my belief that we can all learn to use sound, our own self-created sounds as well as sounds that we listen to and hear, to reduce heartbeat, respiration and brain waves, to help us relax, and to lead a more balanced, harmonious life. Everybody can do this. I urge everyone to contemplate using sound in conjunction with whatever else they’re doing to heal themselves and others.